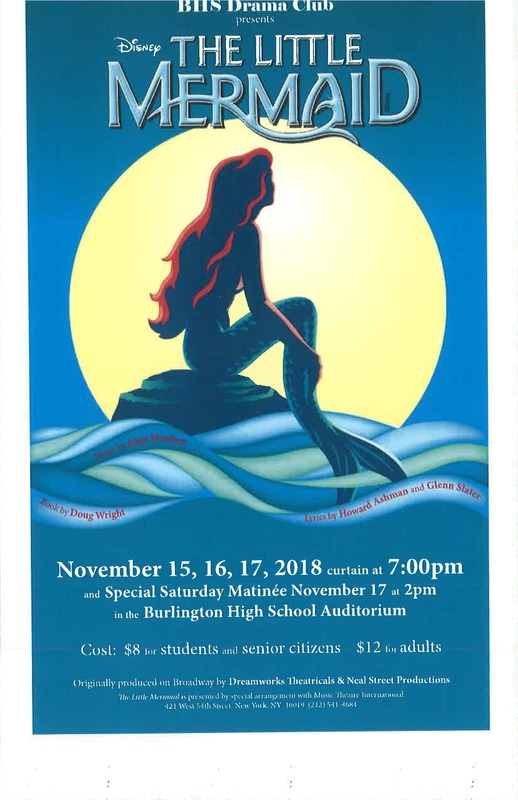 Come support the BHS Drama Club and be entertained by the amazing cast of The Little Mermaid! You can purchase tickets from any of the cast or crew members, or at the front office of BHS. You can also email BHSVTDrama@gmail.com to reserve. There may be tickets at the door if they don’t sell out.